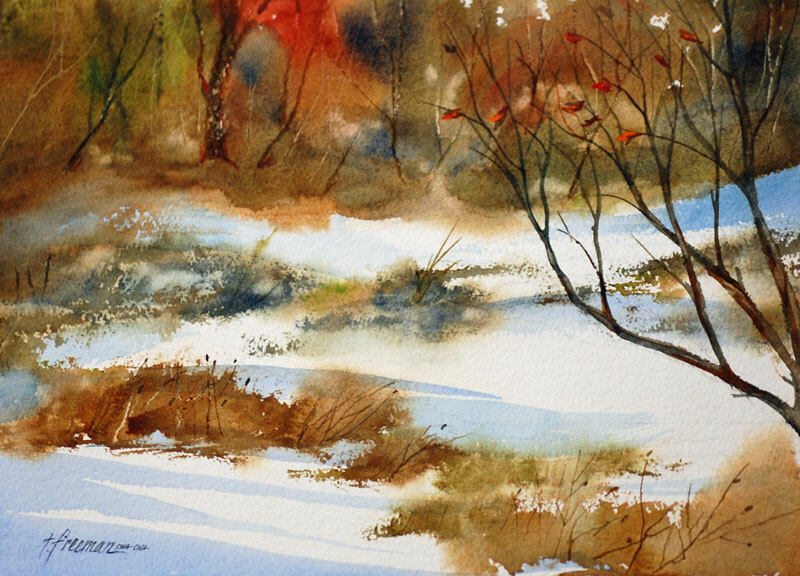 Thomas Freeman Original Watercolor Painting: "Winter Solitude"
I imagined a cold, snowy scene, probably from my many years in the Midwest, and a stillness in the air. The snow seems to muffle sound. I virtually always use a 300 # paper as I paint very wet, and the heavy paper does not curl, leaving you with more control. I used this painting for a Christmas card.